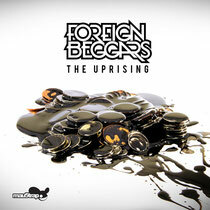 London-based UK rap/grime/dubstep group Foreign Beggars is gearing up to release their album ‘The Uprising’ on October 1st via the deadmau5-helmed mau5trap label. Having built a reputation over the last decade for their versatility, prolific creativity and high-octane live shows, they continue to push the envelope, progressing from their roots in underground hip-hop to an eclectic and visceral fusion with electronic music that has seen them go from strength to strength. Out now is ‘Anywhere’ featuring D.Ablo, the third single from the album. 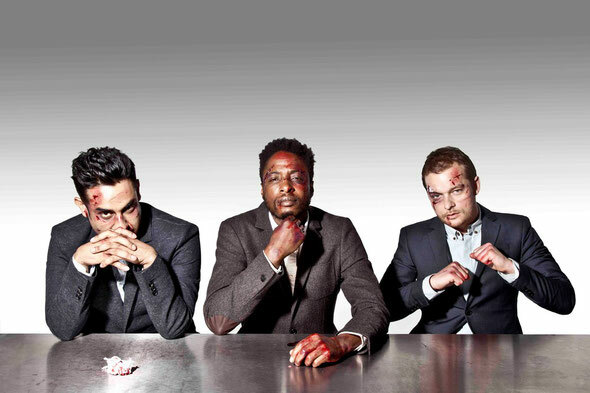 Foreign Beggars switch things up once again as they call upon Eddie Jeffrys to take the reigns on production duties on ‘Anywhere’. Switching between deep dub-laced swagger and searing bass-fuelled force, Jeffrys delivers a rowdy instrumental allowing them to take charge as they go full throttle. London-based vocalist D.ablo joins on the track’s hook, which provides a more meditative counterpoint to the chaos that ensues.